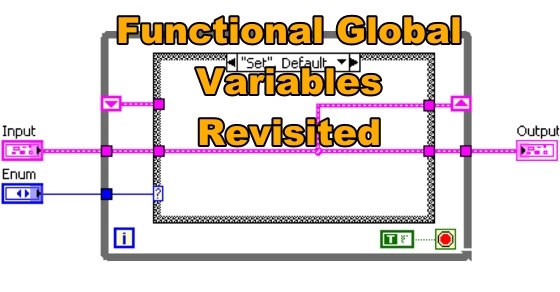 If you think you know everything there is to know about functional globals, then you're wrong. In this episode of the VI Shots podcast, Nancy Hollenback and I take functional global variables to the next level. Find out how to safely use native globals, have multiple instantiation capabilities and speed optimize your look-up tables. I hope you enjoy this interview as much as I did. Leave me a comment below and tell me what you think of this episode, or if you have any questions. You can support this podcast by subscribing on iTunes (for iOS) or giving us a rating and review in the platform of your choice.